Drills are ancient tools. They predate the oldest civilizations. Over time, and with advancements in technology, high-tech drills have found their way to the market. Many people now prefer cordless drills to the conventional ones because of the numerous advantages they boast. They hit their stride when manufacturers introduced Lithium-ion batteries a number of years ago. Cordless drills are effective at helping HVAC professional create holes and drive screws with utmost ease. The versatile machines offer you the performance you desire. They’re not only compact and lightweight but also comfortable to handle. A vocation/career in the HVAC field calls for a number of tools. Are you just getting started in the trade of heating and air conditioning? If that’s the case, it can be quite overwhelming to decide what’s needed right away. Drills are one of the necessary tools in the trade. The million-dollar question that then begs is, why must an HVAC technician have a drill? Drills, and especially the cordless ones, provide utmost convenience. You don’t have to be tied to an electric plug outlet for you to get your job done. Basically, they offer you freedom movement. Ultimately, you’ll save both time and cost since you’ll be able to handle your projects even in inaccessible areas. Modern drills help you to do more than just drilling. There are units that consist of drilling kits to provide you an array of drill bits. Others feature keyless SDS chucks, which make it possible to work in any kind of project. You can also find other kits with screwdriver heads meaning you’ll be able to use them as a screwdriver when a need arises. The pulsing mechanism of a drill is handy at adding greater momentum to the penetrating power of a drill bit. With such a feature, you’ll be able to penetrate even the toughest of materials such as concrete. The flexibility nature of some drills means that they’ll be able to function fully even in the hardest areas to reach. Some bring with them built-in LED light to offer illumination in such conditions. With a work light feature on a drill, you’ll definitely have an effortless time when it comes to drilling in different situations. Whether it’s during the day or at night, your drill will be handy. The debate on whether to settle for a cordless or corded drill is common in the HVAC industry. Each of these types of drills has its own pros and cons. Nonetheless, to settle for the best choice, you’ll need to consider your needs. Additionally, you must purchase a drill that will last a long time. Safety - On top of the falling and tripping hazards extension cords pose, they also pose electrocution risks. While chances of electrocution might be slight, by using a cordless drill, you can eliminate the probability of steel blades cutting through the live wires. Additionally, with cordless drills, you don’t have to be worried about electrical wires being overly exposed because the protective wear tends to wear away over time. ​Effortless Climbing - Cordless drills allow you to work from elevated positions more safely and easier. The last thing you’ll have to worry about is tripping and/or becoming entangled in extension cords when you’re working on a roof or ladder. ​Power - Most if not all cordless drills feature powerful motors. With such motors, there’s no limit to the kind of project you can handle. It’s possible to work on all projects. Some of the other advantages of using cordless drills over their traditional counterparts include versatility, functionality, accuracy, and speed. Torque – Lower torque means that the drill is less efficient. It’s very hard to find cordless rotary-hammer drills with ample torque. There's a lot of options to choose from when it comes to cordless drills, as with any tool. We've rounded up some of our favorites here, and hope it helps you in making your own decision! 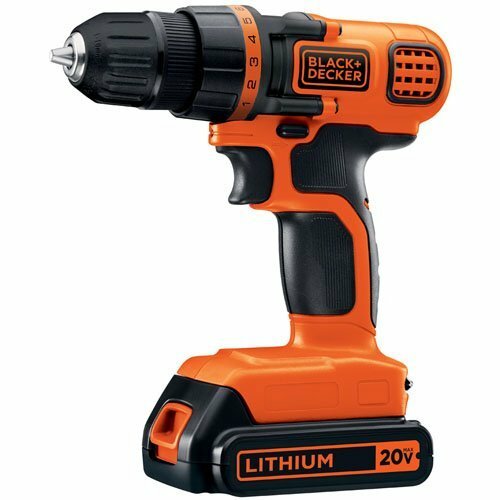 The Black & Decker LDX120C cordless drill is a remarkable drill for basic needs around the house. While it might not help in your heavy construction jobs, this cordless drill is perfect for small tasks such as fixing drawers, hanging pictures etc. Without a doubt, it’s great for its price. Even though it lacks some of the features of higher end ones, it features everything a hobbyist, DIYer or homeowner may desire in a drill for lighter tasks. For instance, it brings with it a 20-volt Lithium Ion battery, which holds a charge for longer compared to the conventional NiCAD battery. What’s more is that these batteries charge quicker. Depending on pressure, its drill speed shoots from 0 – 650 rpm. That’s enough to fasten screws and perfectly handle some light drilling. The Dewalt DCD771C2 cordless drill is not only compact, it’s also compact for working even in the tightest of places for extended periods of time. Its high-speed transmission normally delivers 2-speed variations that enable users to select the performance levels required for a number of applications. The drill has an ergonomic handle, which delivers control and comfort. Weighing approximately 3.6 pounds, this drill is extremely comfortable to use. It features a powerful 300 watts motor that helps you complete an array of applications. Use it today and discover its magic. 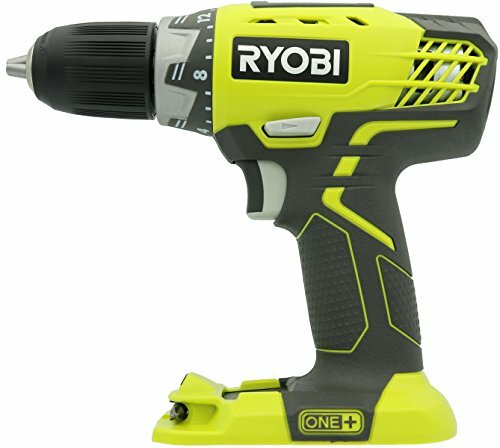 There’s no doubt that the Ryobi P208 cordless drill is powerful enough for any project application. It’s powered by the new and enhanced Lithium+ batteries. The compact drill features the exclusive and impressive MagTray that’s ideal for holding screws and bits to maximize productivity on your job site. Its improved GripZone overmold normally offers optimum user and grip comfort. It’s true to say that the drill is tougher than it looks. 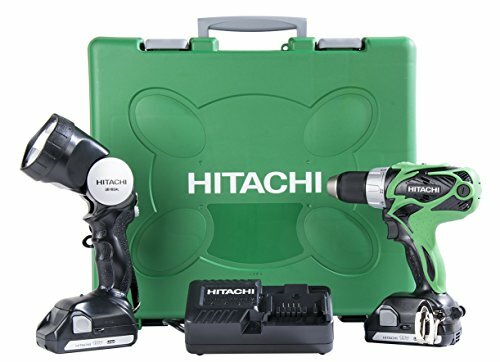 Powered by a durable 1.5Ah lithium battery, the Hitachi DS18DSAL cordless drill delivers such a powerful punch. It’s easy and efficient to handle. The drill’s variable-speed tool delivers professional power in an ergonomically designed and lightweight body. For added convenience, the drill brings with it LED flashlight. That means you can work even in the dark. The appliance boasts impressive speeds to help you match the appropriate speeds for the job. Its clutch brings with it 22 driving stages together with a special mode for drilling thus allowing for both precision driving and high torque applications. With its unmatched torque, the machine is able to power through the toughest jobs. The feature gives it the necessary boost to tackle masonry, hardwoods as well as other heavy duty drilling. Finally, yet importantly, this drill has an externally accessible carbon brush that allows you to economically and easily replace brushes whenever they’re worn. The Makita LCT209W cordless drill delivers pro speed and pro power in an ultra-compact size. It provides two excellent extras to any tool belt or toolbox. 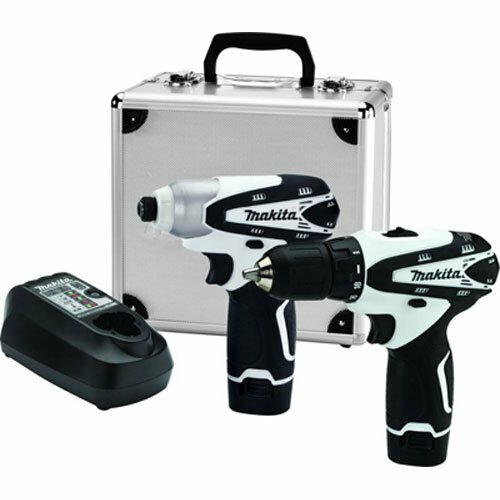 The drill brings with it cordless tools for fastening, driving, and drilling. Every tool is powered by the powerful Lithium ion battery from Makita coupled with an Energy Star qualified charger. The charger guarantees efficient charging power as well as less downtime. It includes a two-speed drill, which weighs 2.2 pounds only. The drill delivers 200 pounds/inch of Max Torque. 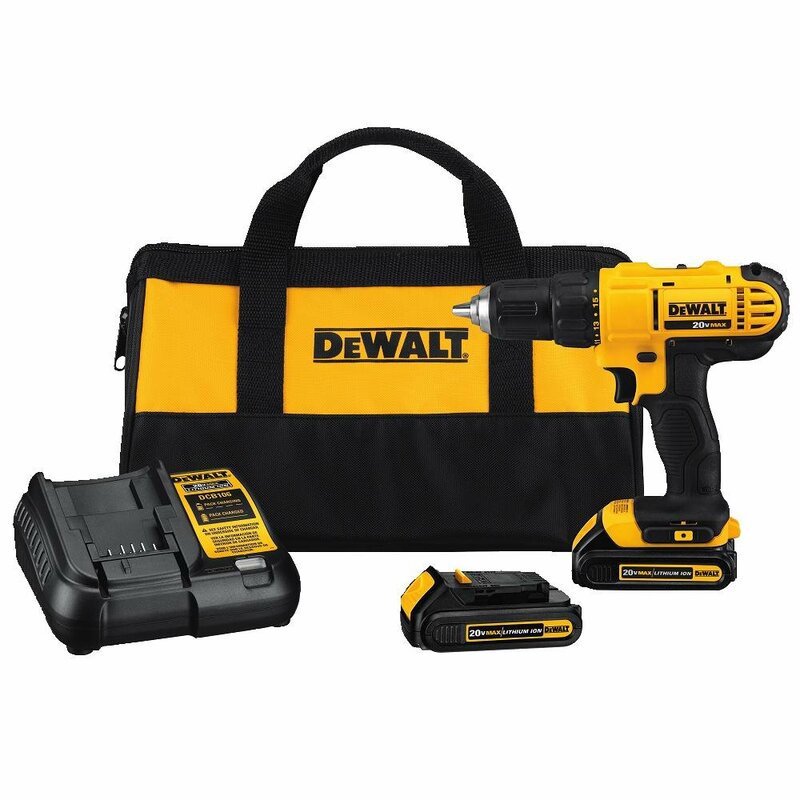 It features a variable speed impact driver that weighs 2 pounds. Looking for reviews of more information? Thoroughly Reviewed has their own great reviews of cordless drills. Clearly, the advantages of cordless drills outweigh those of corded ones. When in the market for the best cordless drills, it’s important to conduct an extensive research. By doing that, you’ll be able to settle for nothing short of the best. If you’ve been looking for an effective machine, feel free to choose from any of the above five ones. You’ll not regret it.